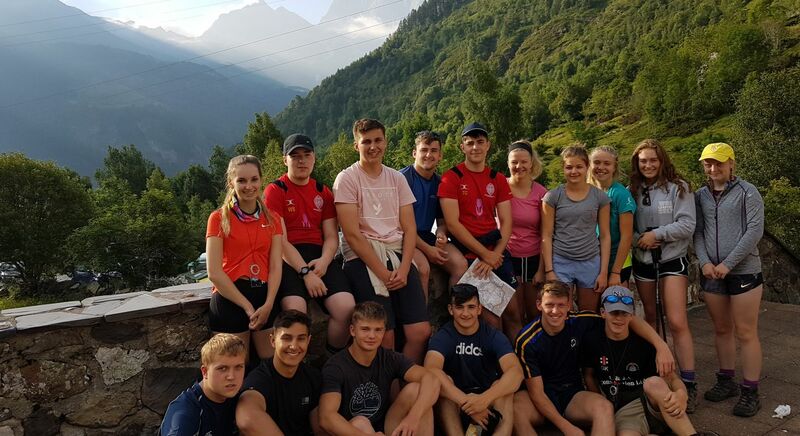 While many members of the school community were enjoying the first week of their summer break, 16 pupils embarked on their D of E Gold Assessed Expedition in the French Pyrenees. The early morning flight from Stansted to Lourdes, which followed by a short coach transfer took us into the Pyrenees National Park and to our base near the village of Gavarnie. Our accommodation was an Alpine refuge located on the slopes of some imposing mountains, while very basic it provided the ideal location. 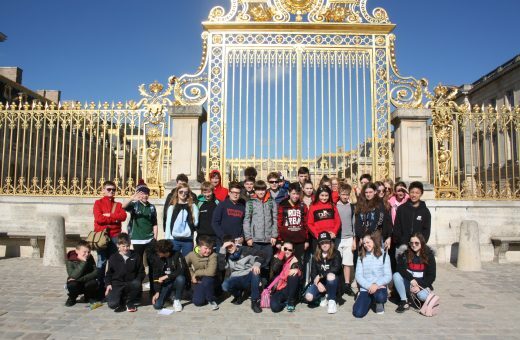 The first task was to find a TV, and once we had determined England was not ‘coming home’ just yet we were able to relax and prepare for the acclimatisation walk the next day. Day 2 was warm and sunny, but a cooling breeze and the shade of woodland made the walk more bearable. Our route took in the Cirque de Gavarnie, a bowl carved into the 3000m peaks, which includes numerous waterfalls, the tallest falling over 400m, physical geography at its most impressive. Day 3 saw the expedition begin in earnest, a relatively short route in term of distance but a climb of 1000m over a ridge at 2400m was certainly testing, throw into the mix a low cloud base and electrical storms and this was interesting Alpine trekking. Most of the group were pleased to enjoy the comforts of the showers at the campsite that evening. Thankfully the next day did not include as much climbing but was much longer, passing through many Alpine meadows, with an abundance of wildlife. Once the climbing was complete in the first half of the day the route contoured along a valley to the Barrage d’Ossoue. Our site was wild that evening, truly immersing us in the Alpine culture; this was a first experience of wild camping for some, no toilets or shower, just a nice chilly waterfall and stream in which to freshen up! Unfortunately, the weather was not so welcoming, low cloud and drizzle meant we could not enjoy the scenery. The next day was altered due to some dangerous sections which would have required the group to cross extensive snow patches, a step too far for D of E. Instead we contoured out of the valley with the picturesque village of Gavarnie below us before reaching our campsite, this time with full amenities. The weather throughout was warm and sunny with a cool refreshing breeze, allowing us to enjoy the imposing scenery from every direction. This was a relatively easy day ahead of the final push on the final day. Motivation was high on the final day, tents and breakfast was eaten and tents packed in record time. All were keen to finish the route, which yet again following a steep climb took us down the valley to the village of Gèdre. The weather was mixed, with bouts of glorious sunshine mixed with showers and low clouds, throughout the gaps in the cloud revealed stunning views of the valley way below. Finally, after a tough four days, the end in the village square of Gèdre was a welcome sight, with a distinct feeling of relief and elation that the expedition was finally complete. Many enjoyed a quick ‘snack’ in the local café before making our way back to the refuge. The R and R day followed, and once group equipment had been serviced and put away, we walked down the hill from the refuge to meet two French guides with cars full of wetsuits. 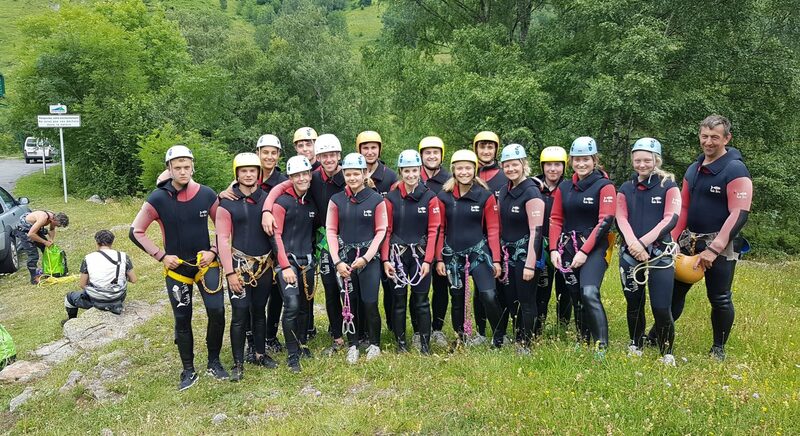 After donning wetsuits on the roadside and following a quick safety briefing, we were led to the edge of a nearby river gorge and lowered by a rope in the icy waters below. 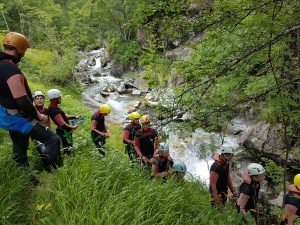 This was Canyoning, and it required us to make our way by climbing, scrabbling, jumping and abseiling down the river channel while battling the rapids and chilly water of a glacial meltwater river. Jumps of near to 10m into the plunge pools below took a strong mind and was a challenge the whole group enjoyed. The trip was rounded off with a celebratory meal in a local restaurant, where we thanked our Alpine guides Matt and Heather before making our way back up the hill to the refuge in the rain. The journey home was a little longer than hoped, but this did not detract from the achievement of those on the expedition. 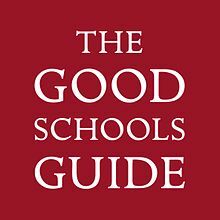 The expedition section of the D of E is meant to be challenging, and to residents of The Fens, the hills of the Peak District or the Lake District can be challenging enough. This group have certainly earned their stripes when it comes to the expedition section. A stunning location, with some challenging routes, will certainly live long in the memory.